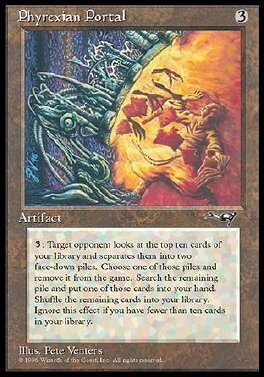 3: Target opponent looks at the top ten cards of your library and separates them into two face-down piles, then you choose one of those piles and remove it from the game. Search the other pile, put a card from it into your hand, then shuffle the rest of that pile into your library. Play this ability only if you have ten or more cards in your library.